Canada’s biggest banks – those deemed ‘too big to fail’ – will need to increase the size of their emergency funds in 2019. OSFI has announced that the Domestic Stability Buffer will increase from the current 1.5% of total risk-weighted assets to 1.75% in April 2019 for those FIs designated as Domestically Systematically Important Banks (D-SIBs). The regulator notes that Canada’s current credit environment is favourable but says that it remains concerned about the high level of household debt relative to income, uncertainty in some housing markets, and the potential future risk from rising corporate indebtedness. The Financial Stability Board recently suggested that financial supervisors should consider using the currently positive environment to build resilience. It suggested using macroprudential buffers where appropriate. 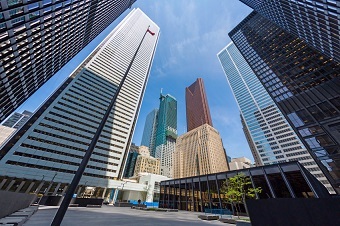 “In light of positive credit performance and generally stable economic conditions, now is a prudent time for banks to build resilience against future risks to the Canadian financial system,” said Jamey Hubbs, Assistant Superintendent, Deposit-Taking Supervision Sector. The announcement comes amid growing concern that the current global economic cycle is moving towards a slowdown in key economies including the US. Large banks and investment managers are preparing for a potential downturn and this week the IMF said that, while the global economy is forecast to post 3.7% growth in 2019, the US and China are cooling.